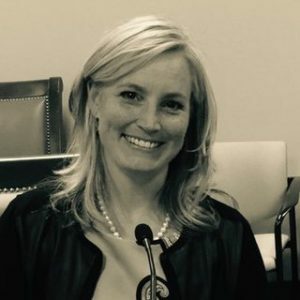 Melissa Freigang is the Vice President for Social Innovation and Workforce Initiatives for the Business Development subsidiary of Logistic Specialties, Inc. (LSI), where she leads specialized economic and workforce development programs by aligning industry, education, social-sector organizations (foundations and nonprofits), local, regional, state and national governments and public-sector bodies. These innovative programs provide customized evidence-based strategies to improve access, increase outcomes and create personal economic mobility pathway. Using innovative business development, embedded training and job creation methodologies, Melissa’s team helps key stakeholders integrate and navigate the complex maze of interconnected, yet narrowly segmented economic development, social and workforce systems. Freigang has more than a decade of experience directing and managing government grants and building strategic community partnerships. Prior to joining LSI in 2013, she was a director at the third largest Job Corps Center in the nation, with oversight for work-based learning and career placement services for approximately 1,500 students annually. Under her leadership, Clearfield Job Corps ranked 13th among 125 centers nationwide. Freigang has also held leadership positions in higher education with Weber State University and Gonzaga University, including serving as Associate Athletics Director/Senior Woman Administrator responsbile for Title IX Compliance, Student Services, Gender Equity as well as administering multiple sport programs and mentoring the Student Athlete Advisory Committees. Among her accomplishments, Melissa was awarded the distinguished WSU Crystal Crest Friend of Students given to the non-faculty university staff member who exemplifies outstanding professional qualities and goes above and beyond to impact the lives of students. As Chair of the Clearfield Job Corps Center’s Workforce Council and State Rehabilitation Council, and serving on the Governor’s Commission on Women in the Economy and the Employment of People with Disabilities, the United Way of Salt Lake Davis Leadership Council, the Safe Harbor Crisis Center board of directors, and the Davis Education Foundation, Freigang continues to bridge the gap between policy and practice. She also volunteers with Prevent Child Abuse Utah, among others while managing the operations of five youth hockey teams comprising the Utah Golden Eagles Hockey non-profit. She has previously supported the DWS State and Regional Youth Councils, Ogden/Weber and Davis Chambers’ Women in Business Executive Committees and former Utah Governor Jon Huntsman’s Blue Ribbon Education Commission, the genesis of Prosperity 2020. Melissa is a former US Senior National Team member and a three-time NCAA All-American University of Utah gymnast on two Division I National Championship teams. She runs LUMs – Lady Ute Mentors – local UofU gymnastics alumni who mentor current University of Utah gymnasts. Freigang holds a bachelor’s degree in human development with an emphasis in elementary education and special education from the University of Utah, a master’s degree in organizational leadership from Gonzaga University, and post-graduate certifications in workforce development, strategic planning, leadership, the ICorps Lean Canvas Business Model, Veteran’s Peer Mentoring and community development. She is a first generation college graduate.